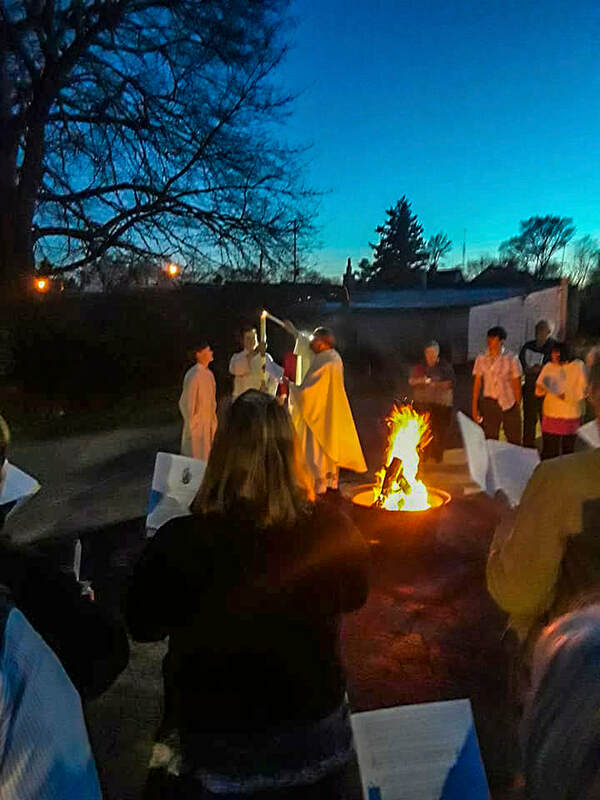 Lighting the Paschal Candle at the Great Vigil of Easter 2019. Pr. Friesner delivers the homily at the Festive Eucharist on Easter morning. ​If schools are closed because of inclement weather, Community Table will not be held. ​If you have any questions regarding this ministry, please contact the Catholic Community of Manistee Office at 231-723-2619.